The ultimate goal of an assessment is to identify priority health issues to be used as a guide to develop strategies to impact and improve the overall health of the community. This effort included a comprehensive review of health and lifestyle data from primary and secondary data sources including a community survey. St. Croix Regional Medical Center on March 4th at Noon in the Riverbend Conference room. Polk County Government Center (in Balsam Lake) on March 7th at 5pm in the Public Health Conference Room AB. Osceola Medical Center on March 11th at 2:30 in the Cascade Conference Room. Present you with the data we have collected. Ask for your thoughts on other health issues we may not have addressed. Four community forums were sponsored in Balsam Lake, St. Croix Falls, Amery and Osceola. The community members in attendance offered input and suggestions on the health focus areas. In addition, a partner meeting was held in April targeting key organizations and stakeholders as well as local health-related coalition representatives. At each of these venues, attendees had the opportunity to provide input on the top health focus areas. People typically think first about the leading causes of death, illness or injury when considering the health of the community they live in. In assessing a community’s health, it is also important to carefully consider the factors that lead to poor health outcomes. 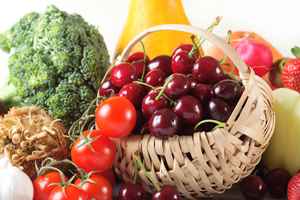 This approach helps people to focus on prevention strategies to identify the greatest opportunities to improve health. 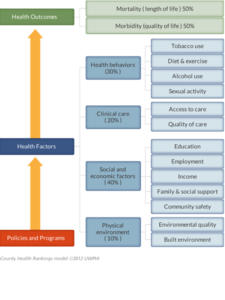 Often people believe that individual health behaviors (an action taken by an individual or group of individuals to change or maintain their health status or prevent illness or injury) and quality health care are the dominant factors that shape health, but two other major influences play a very important role – the social and economic factors and the physical environment. This community health needs assessment examines all of these factors. 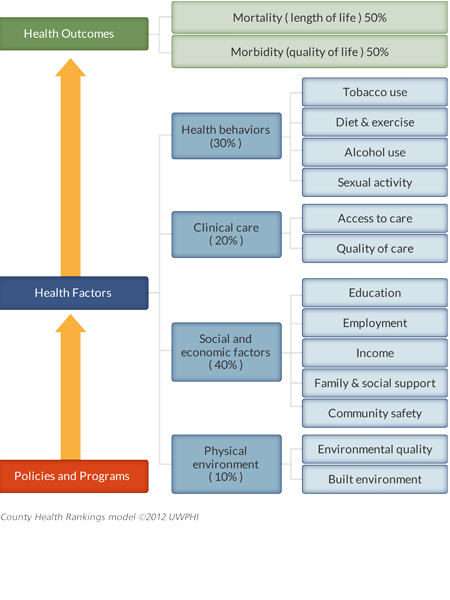 The County Health Rankings Model, shown here, was created by University of Wisconsin Population Health Institute to show the many factors that influence the health of the whole population. 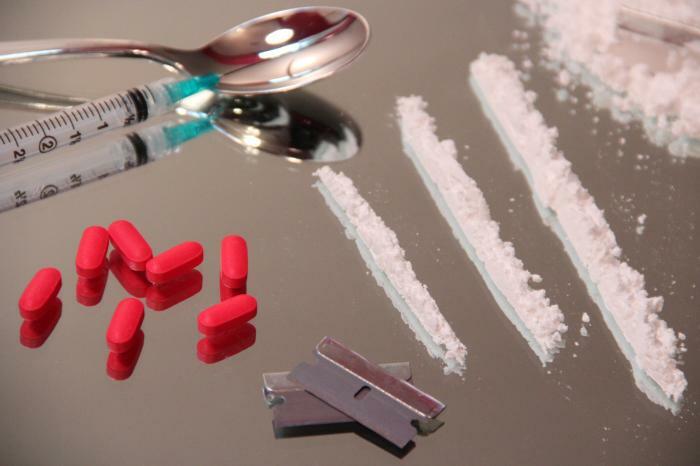 The factors include health behaviors, clinical care, social and economic factors and the physical environment. 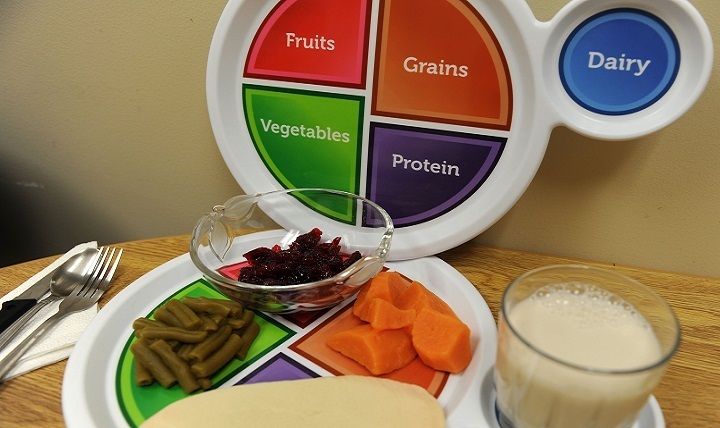 In addition, the health focus areas targeted for analysis are many of those contained within Wisconsin’s state health plan, Healthiest Wisconsin 2020. The Rankings model is used to frame the data section of the Polk County Community Health Needs Assessment and is a key factor in the work to create the community health improvement plan.